Palestine belongs to Palestinians. They’re willing to settle for what lies within 1967 borders. It’s 22% of what they lost. They also rightfully claim East Jerusalem as their capital. It’s theirs, not Israel’s. Israeli settlements are illegal. This article discusses Migron. It’s one of dozens of illegal Israeli outposts. Over 100 exist. They were built without government authorization. International law doesn’t distinguish between settlements and outposts. They’re all illegal and have no right to exist. Israel spurns legal principles and does what it wishes. Why not when no one intervenes. Israeli settlements, outposts, military areas, no-go zones, nature reserves, commercial areas, by-pass roads, tourist sites, checkpoints, and other barriers comprise well over 50 of West Bank land and East Jerusalem. Over half a millions settlers live on stolen Palestinian property. Many occupy illegal outposts, including Migron. It lies northeast of Jerusalem overlooking Route 60. It’s Israel’s largest outpost. In 1999, it was built on privately owned Palestinian land. In 2002, it expanded. It’s home for over 250 settlers. Israeli authorities never intervene to stop land theft or development. In fact, they aid and abet it. The Ministry of Construction and Housing spent 4.3 million shekels for Migron’s infrastructure. No authorization approved it. In June 2006, Peace Now petitioned Israel’s High Court of Justice (HCJ) to dismantle what never should have existed. Government officials proposed building a neighborhood in Geva Binyamin settlement for Migron residents in exchange for evacuating the outpost. Nonetheless, residents kept building. Nothing was done to stop them even though the HCJ said Migron violated Palestinians’ property rights. In 1979, the HCJ’s Elon Moreh ruling prohibited seizing privately owned Palestinian land for settlement construction. Only so-called state land could be used even though no legal authority justifies classifying it that way. Following the court ruling, Israel arbitrarily appropriated over 900,000 dunums as state land. It was brazen theft. Doing so violated international law. Palestinians were denied the right to contest loss of their own property. Israel also invented other new ways to steal land. For example, it appropriated Jordan Valley property belonging to absentee Palestinian owners. Other land was seized. It was used for dozens of settlements. Some were claimed necessary for “military needs.” Saying so was subterfuge for theft. All settlements and outposts should be dismantled. Migron is one stain among many. On August 2, 2011, the HCJ ordered it taken down by end of March 2012. It was the first such order since Elon Moreh was ordered shut in 1979. “The establishment of the outpost and its ongoing expansion are in clear and blatant defiance of the rule of law and infringe on the proprietary rights of the Palestinian landowners. Eighteen months later nothing changed. Knesset hardliners delayed Migron’s demolition. Orders weren’t issued to do so. A deal gave settlers until 2015 to relocate. Rule of law principles and Israel’s High Court ruling were ignored. By March 2015, settlers agreed to move to state-owned West Bank land. Their structures would either remain vacant or Israel’s military will claim them. Palestinians won’t get back property rightfully theirs, at least not without further court action. In 2015, further delays may follow earlier ones. Perhaps new legislation will legitimize outposts and prevent evacuations and demolitions. Hardline Knesset members support virtually anything settlers wish. Palestinian rights are ignored to please them. In the mid-1990s, settlers began establishing unauthorized outposts after Israel pledged no new settlements. Israel did nothing to stop them. Considerable aid was given for infrastructure, security, and even planning. It recommended legitimizing illegal outposts. It said zoning officials should authorize them without further political approval. It urged no restraints on settlement construction. Netanyahu praised the report. So did Knesset hardliners. Levy served earlier on Israel’s High Court. He represents decades of occupation injustice. He claims the West Bank and East Jerusalem aren’t occupied territories. International law, jurists who support it, and the International Court of Justice say otherwise. Migron is a drop in an ocean of injustice. It symbolizes unbridled Israeli lawlessness. Land rights cut to the heart of Palestine’s liberating struggle. One outpost is inconsequential. Settling it equitably, however, matters. Failure to do so legitimizes others. It also facilitates unrestrained settlement expansions. A Glimmer of Hope or a False Positive? On August 29, Israel’s High Court again ordered Migron evacuated. Settlers were ordered out by September 4. The site was ordered cleared by September 11. Justices rejected a petition by 17 outpost families. They wrongfully claimed establishing Migron was legal. They said land settled on was bought. Proof doesn’t support bluster. Evidence suggests purchase documents were forged. The Court said “purchases have nothing more than (an unsubstantiated) purchase.” Construction wasn’t authorized and is illegal. The ruling came days after government officials apparently yielded. They agreed Migron has to go. Perhaps they’re willing to exchange one outpost for another on so-called state land by changing the subject. During the Court hearing, state prosecutor representative Osmat Mandel explained the government’s new position. Migron settlers won’t be abandoned. They’ll be moved to newly built homes on alternate Palestinian land. It remains to be seen whether Migron’s story end here or if new chapters remain to be written. On September 2, Israeli radio said settlers there began leaving of their own accord. Haaretz said within a few hours they were gone. Longstanding battle lines aren’t dismantled. Well over 200 other settlements and outposts keep expanding. Justice for Palestinians remains distant. Their liberating struggle continues. Hamas is Palestine’s elected government. Abbas’ presidential term expired in January 2009. He and appointed prime minister Fayyad have no legitimacy. Responsibility to protect (R2P) and humanitarian intervention are code terms. They’re cover for imperial ravaging. When is war not war? It’s when killing, terrorizing, and traumatizing victims is legitimized. It’s when lies substitute for truth. It’s when threats don’t exist so they’re created. It’s when fake objectives conceal real ones. America and Israel are warrior states. They’d rather fight than switch policies to peaceful ones. They’d rather eliminate rivals than cooperate diplomatically, politically and economically. Iran’s alleged nuclear threat is red herring cover for regime change by war if other methods fail. Intelligence agencies have best information. They contradict warrior politicians itching for another fight. At times, they report accurately what warmongers don’t want to hear. Too bad it’s not all the time. Media scoundrels don’t hold them accountable when they and political hawks choose war as their policy of choice. Weeks, not months, are mentioned. A Ma’ariv article mentioned a September 25 deadline. It’s when UN member states meet in New York for the General Assembly’s 67th session. It’s also Yom Kippur eve. In “The Art of War,” Chinese general/strategist/philosopher Sun Tzu said “All warfare is based on deception.” Enemies aren’t alerted in advance. Perhaps Israeli bombast is more bark than bite. If not, deception won’t be part of its strategy. Publicly, positions of both sides have been featured ad nauseam. Earlier Israeli wars weren’t pre-announced. Plans were secret until initiated. Discussions were held privately. Current openness won’t affect whether or not attacking Iran follows. Striking Iran’s nuclear facilities puts millions of Iranians at risk. Contamination assures current and future generational suffering. War casualties on both sides will pale compared to far greater numbers annually. Responsible leaders don’t take those risks. Sociopaths go where angels fear to tread. Consequences come later. They’re left for future officials to address. Radiation is unforgiving. So is other contamination too toxic to remediate. Kadima party head Shaul Mofaz demanded an urgent meeting. “I ask that this meeting be convened without delay,” he said. He raised concerns about preparedness, US/Israeli relations, the IDF’s reserve strength, essential raw materials, other supplies, civil aviation, sea ports, evacuation of strategic facilities, and management of Israel’s strategic inventories. Mofaz has extensive military experience. He served both as Deputy Chief of General Staff and chief. He also was Ariel Sharon’s defense minister. His concerns can’t be dismissed out of hand. Mofaz is both military strategist and politician. He alone knows where one ends and the other begins. Opposition parties criticize for political advantage. Perhaps his comments reflect future electoral considerations, not real feelings or what he’d do as prime minister. When Obama says “all options are on the table,” he threatening possible nuclear war. Doing so is unconscionable madness. It’s also perhaps the highest form of criminality. Nuclear weapons and “nuclear deterrence (have) never been legitimate instruments of state policy but have always constituted instrumentalities of internationally lawless and criminal behavior,” Boyle explains. “If mass extermination of human beings is a crime,” so is threatening to do so. Article 2 of the UN Charter “prohibits both the threat and the use of force except” in self-defense. US wars don’t qualify. Nor will attacking Syria and/or Iran. America and Israel both are guilty of “ongoing international criminal activity.” At issue is “planning, preparation, solicitation, and conspiracy to commit Nuremberg crimes against peace, crimes against humanity, war crimes, and genocide” on a regional or world scale. He’s saying after both countries batter each other, America will grab easy pickings without waging war for them. Non-Aligned Movement (NAM) countries have potential clout. Key is strengthening ties and using it. From August 26 – 31, member states hold their 16th summit. Tehran is host city. Iranian leaders want NAM economic independence stressed. They’ll try to revitalize the alliance and seek support for its peaceful nuclear program. They also urge resistance against Washington’s imperial agenda. They’ll send 35 heads of state, five first vice presidents or vice presidents, and one parliament speaker. Twenty-one nations will send foreign ministers. Presidential envoys will represent five countries. Two others will have ministerial leaders other than their foreign minister. At issue is potential for strengthening cooperative, mutually beneficial, ties. 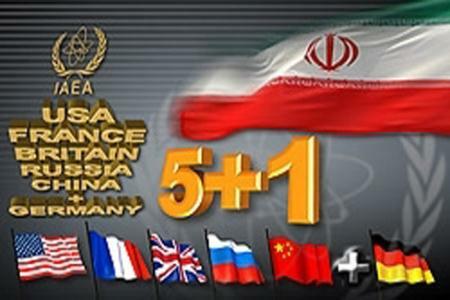 Key also is enhancing Iran’s status. Doing so marginalizes America’s strategy to co-opt and dominate. Never bet against Washington’s imperial plans. New tactics follow failed ones. Efforts to oust Assad continue. Proxy killers can’t do it alone. They’re no match against Syria’s superior military strength. It’s committed to rout them. America’s false flag history suggests it. In 1898, Spain was falsely accused of blowing up the USS Maine in Havana, Cuba harbor. The Spanish-American war followed. Roosevelt manipulated Japan to attack Pearl Harbor. South Korea was used to instigate war on the North. Lyndon Johnson wanted war on Vietnam and got it. Fake threats sent US marines to Grenada. Manufactured incidents precipitated America’s Panama invasion. Saddam was head-faked into invading Kuwait. The Gulf War, two decades of sanctions, another war, and occupation followed. 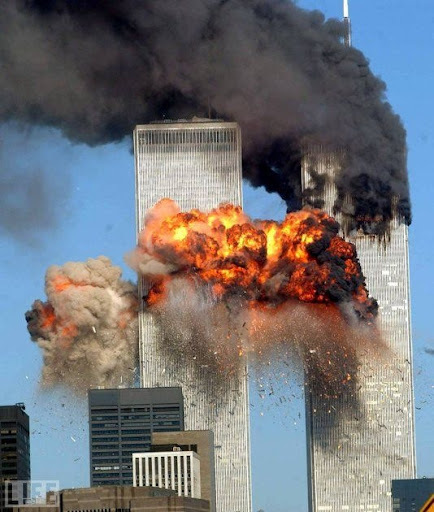 September 11, 2001 was the mother of all false flags. It’s the big lie of our time. Eleven years of imperial wars followed. One segues to another without end. Syria is Washington’s latest. Iran is next. Proxy wars always rage. Media silence makes pretexts unnecessary. Syrian Foreign Ministry Jihad Makdissi clearly said chemical weapons won’t be used internally. Nor will they be used against other nations except in self-defense. Of course they won’t. Why would Assad give Washington and other NATO countries reason to intervene? No matter. Incidents are easy to manufacture. Scoundrel media hyperbole manipulates readers and viewers to expect it. Propaganda hypes fear. Securing weapons is deceptive cover perhaps for a planned chemical false flag blamed on Assad. DF, Obama, other officials, and Western media are manipulating public opinion to accept another full-scale war. Alleged Iraq WMD threats facilitated shock and awe and occupation. Others initiated NATO’s destruction of Libya. Expect something similar for Syria. Washington’s bag of tricks contains all dirty ones. Soldiers wore anti-contamination clothing. Underground parking areas are ready as bomb shelters. “Assad is resolved more than ever to stand fast” and fight. DF hyperbole sounded like Western media reports during the Blitz. He added that Russia continues discussions with “everyone” to prevent what’s bad getting worse. He fears it for good reason. UK authorities “know about and approve 100%” of intelligence from their Cyprus military bases. It’s being sent through Turkey to Free Syrian Army forces. Information includes Syrian army movements in Aleppo. CIA elements are involved. So is German intelligence. The Bild am Sontag weekly reported that a spy ship off Syria’s coast uses Federal Intelligence Service (BND) technology. It’s provides information to insurgents. Germany’s Defense Ministry confirmed its presence. The vessel Oker provides early warnings, communications and reconnaissance. It’s able to monitor troop movements up to 600 km inside Syria. Information is sent to Washington, Britain and insurgents. BND agents are also stationed in Adana, Turkey. They’re monitoring Syrian telephone and radio communications. Oker is part of Germany’s UNIFIL mission (UN Interim Force in Lebanon since 1978 until August 31, 2012 unless renewed). It’s not authorized to conduct Syrian intelligence. No parliamentary mandate approved it. Perhaps Angela Merkel is freelancing on her own. She’s part of NATO’s imperial regime change coalition. Germany is also involved with the “Economic Reconstruction and Development” working group. Last May, the Syrian National Council’s (SNC) Finance and Economic Affairs Bureau (FEAB) adopted a post-Assad privatization plan. Dozens of countries and 10 organizations are involved. Germany and the UAE lead the initiative. They want Syrian spoils carved up among them. Plunder is their mandate. Subterfuge masks it. They call it a mission to benefit all Syrians. They plan erasing the Syrian Arab Republic and remaking it in their own image. Violence ravages Libya. No end of conflict and human misery is imminent in either country. Full-scale war rages in Afghanistan. American-style liberation is more charnel house than democratic freedom. Syrians experienced it for months. No end in sight is near. The worst is yet to come. Bet on it. <img class=”alignright size-full wp-image-220182″ style=”border: 1px solid black; margin: 10px;” title=”AIPAC” src=”http://www.veteranstoday.com/wp-content/uploads/2012/08/AIPAC.jpg” alt=”” width=”342″ height=”256″ /> AIPAC is an unregistered foreign agent. It calls itself “America’s Pro-Israeli Lobby.” It’s represented Israeli interests since 1953. It threatens “to drag the US into another major war in the Middle East – this time against Iran.” Doing so is lawless, madness, and self-destructive. Its web site says “While the World Talks, Iran Enriches; More Pressure Needed.” A litany of disinformation and lies followed. The international community “must dramatically” increase pressure. Iran’s nuclear capabilities have advanced. It fuel stockpile approaches nuclear weapons production capability. AIPAC is a destructive, malevolent, evil force. It’s heading Washington for war. Waging one on Iran assures losers, not winners. Israel may self-destruct in the process. Catastrophe will affect the region. America won’t escape harm. Nuclear war leaves no middle ground. General Omar Bradley said the only “way to win an atomic war is to make certain it never starts.” It may be closer than most imagine. In mid-August, Foreign Policy featured a debate of sorts. David Rothkopf headlined “The Drums of August.” He’s Foreign Policy’s CEO and Editor-at Large. Earlier he served as Kissinger Associates managing director and US Deputy Under Secretary of Commerce for International Trade Policy. Failure to confront Iran is “imprudent.” He implies might equals right as the bottom red line. Washington should avoid war. It’s not in America’s interest. Diplomacy should be prioritized, not conflict. Policy makers mustn’t “get buffaloed into a war by Israel.” He urges reengaging Iran directly. Why is “simple.” Israel can’t go it alone. It lacks enough power. It can’t sufficiently damage Iran’s nuclear facilities without US help. Israel understands. It’s pushing Washington into a war it shouldn’t wage. Walt’s argument falls short. Vital issues too important to ignore weren’t discussed. No evidence suggests an Iranian nuclear program. Nations with them don’t lob them at each other or non-nuclear states. Aggressive war is lawless. Anytime war is waged, it’s hell. Potential nuclear war is madness and self-destructive. Netanyahu and Barak allegedly set a September 25 deadline. Obama’s got until then to commit to military action or Israel will go it alone. Israel’s US ambassador Michael Oren said Israel will attack even if destroying Iran’s nuclear facilities entirely isn’t possible. “Diplomacy hasn’t succeeded,” he said. Wars don’t solve problems. They create them. War with Syria and/or Iran may cross a line too potentially catastrophic to risk. Priority one is stopping leaders willing to chance it. About the Author: Stephen Lendman lives in Chicago and can be reached at lendmanstephen@sbcglobal.net.